Cyber security and spying is the new game in town. It’s not the equipment vendors that pose the risk, it’s the smart guys who know how to hack any network, regardless of who provides the hardware and software, writes Michael Sainsbury. Previously blacklisted telecom Huawei (from the National Broadband Network) not Australia’s mobile network, and fellow Chinese vendor ZTE are two of five companies bidding for Telstra’s core 5G network. These include Finland’s Nokia, Sweden’s Ericsson and Korea’s Samsung (itself something of a surprise as it as no Australian mobile contracts. Ericsson won the test-of-concept network rolled out for the Gold Coast Commonwealth Games. Since then, Telstra has been testing the other companies out of the same exchange. Telstra’s Andy Penn stated clearly two weeks ago that fast tracking 5G – so Australia’s market leading mobile company (with about 47 per cent share) beats Optus to market – is key priority for his Telstra revamp. This is especially now the case after the telco flogged off its copper access to Malcolm Turnbull’s disaster of an NBN overhaul (slower and more expensive than the original). And boy does Penn need a %g boost with the telco’s share price losing 60 per cent of its value on his watch. His predecessor, David Thodey, was an excellent CEO but his timing was impeccable, stepping away with the share price near its zenith since the idiot days of dotcom. But the amendments to telecommunications sector security reforms coming into effect in September allow the government “to provide risk advice to mobile network operators or the relevant minister to issue a direction”. The government will be able to effectively remove any company that could pose a security risk from a telecoms network tender. The competitive 5G fixed wireless spectrum auction is expected to commence in October. Huawei was originally banned by Labor Communications Minister Stephen Conroy from supplying technology used in the creation of the original NBN’s 90 per cent fibre to the home. This was a result, vendor sources strongly suspected, of acting on ASIO advice echoing intelligence given to the US government. The question, then, is why it is only the US and Australia that have ever banned Huawei from networks? There are long standing rumours – with no evidence on either side – that the People’s Liberation Army owns shares in Huawei, or even controls it outright, stemming from the fact that company founder Ren Zhengfei is an ex-PLA officer. Sure, if the Chinese government wanted some feature or weakness installed in a network by one its companies, they would play ball. As long as that company didn’t want to go broke. But this is not unique to China. Huawei’s late competitor, Lucent Technologies, used to do such jobs for the US military (and many still probably do). NEC/Fujistu did/do so for Japan, Alcatel for the French and so on and so forth. Cyber warfare is game on. It is cyber security technology, not telecommunication network vendors, where the focus should be. But here’s the catch — it is also an unsolvable problem in declaring Huawei a security risk and banning them from providing 5G, because the radio access network (RAN) that enables close to half the current mobile networks in Australia is operated by Huawei. The RAN is a core part of each network; it won’t and can’t change for 5G. Once 5G gets to widespread mobile use, using longer range lower speed bands, existing RANs will be doing most of the heavy lifting, with the help of new software to speed things up. To ban the company providing one of the largest RANs, the message is, apparently, that security on fixed wireless is more important than Australia’s 20 million or so mobile users. Unless, of course, Malcolm Turnbull wants to pay Vodafone and Optus to replace their networks. ZTE’s breaching of Iran and North Korean sanctions may see it banned for reasons other than national security, so there’s an easy win here for Turnbull in his fractious relationship with Beijing: let Huawei at least stay in the race. But that would be too much like common sense. Either way, the company has already banked a win with all the free publicity the story has so far generated. 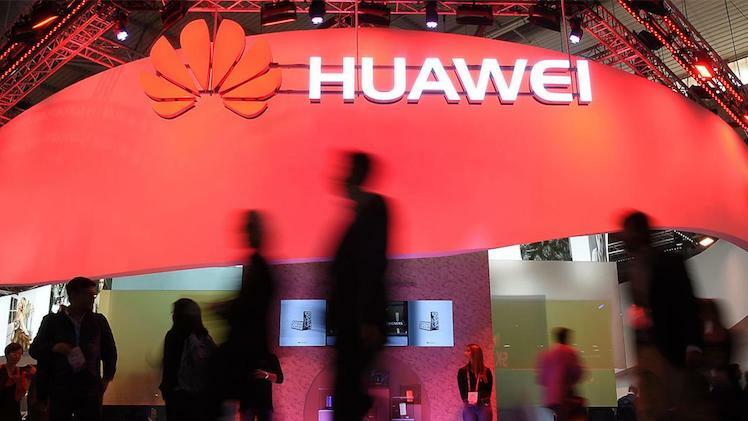 The old wisdom that there’s no such thing as bad publicity is amplified here by the political debate surrounding the issue — Huawei’s brand recognition must be going through the roof. In fact, Huawei has already won the network wars and is settled nicely at the top of the international market. Its new push now is to significantly improve its handset market share; it already has about an eight per cent share in Australia and it just got a serious leg up. A shorter version of this article also appeared in Crikey. Michael Sainsbury is a former China correspondent (now based in South-East Asia), with more than 20 years’ experience writing about business, business politics and human rights across Australia and the Asia Pacific. You can follow Michael at Little Red Blog or on Twitter @sainsburychina.